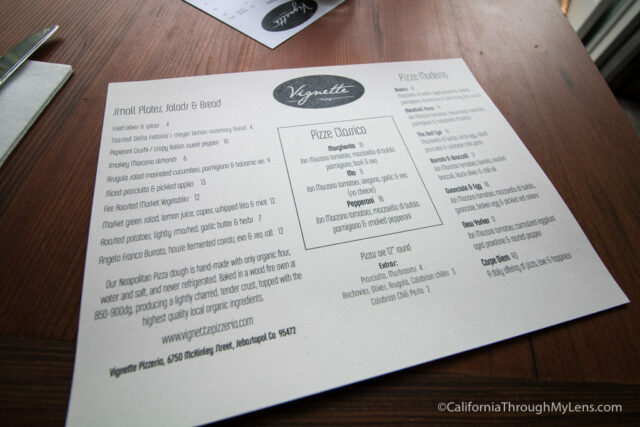 Located in the outdoor shopping area known as The Barlow in Sebastopol, Vignette Pizzeria is a big foodie standout for me in terms of quality and unique preparation for something as ordinary as pizza. 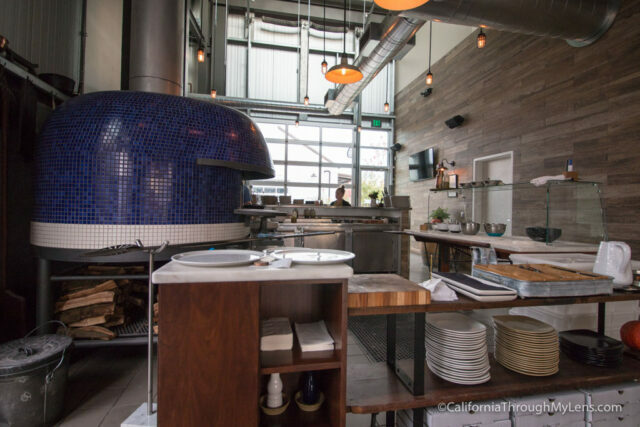 The menu here is created by Chef Mark Hopper, who worked under famed Chef Thomas Keller (French Laundry) and the work shines through in the curation / preparation of these fantastic pizzas. Here is all the information so you can check it out yourself, but I highly recommend you add it to your list. Vignette Pizzeria is right in the middle of The Barlow, across the street from Crooked Goat Brewery. It is hard to miss as you drive into the complex and there is parking along the street. 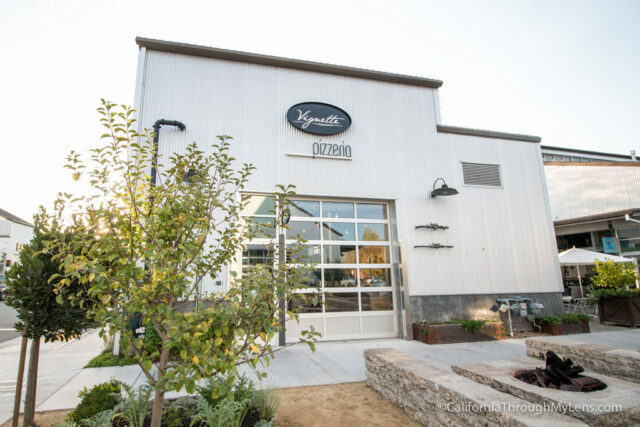 Vignette Pizzeria is in an industrial building with lots of metal tones, an authentic Italian pizza oven in the middle and walls that roll up to let the fresh air in. I loved being able to sit at the tables inside but still have the breeze blowing through while we ate. Chef Mark was there when we went and he was very friendly, telling us all about the pizzas and what he was trying to do with the spot. I loved talking with him as you quickly saw his passion for creating amazing food. 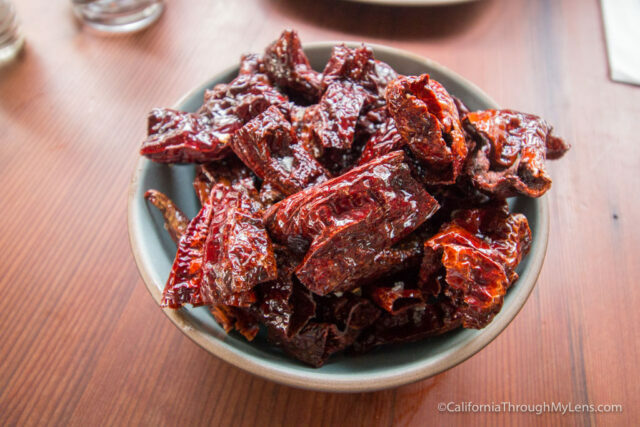 Flash fried sweet peppers that form a makeshift chip and are light and crunchy. The flavor is a little bitter and a little sweet, and it is topped with sea salt and olive oil. It sounds strange, but it’s exceptional. In its basic form, it is like a sweet and smokey pepper potato chip. It might seem strange to you but I would recommend going out of your comfort zone and giving it a try, my wife and I finished the whole bowl. 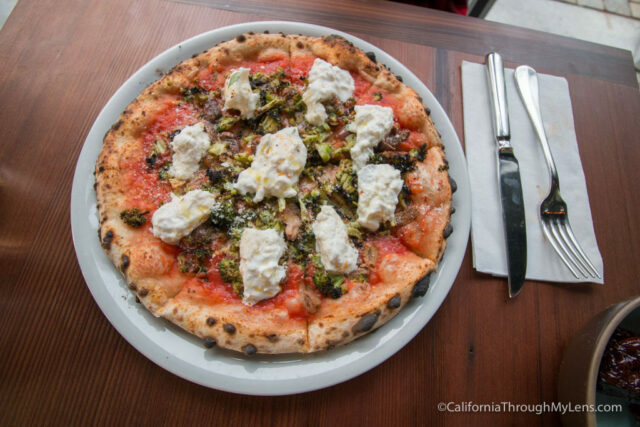 This is a fantastic pizza that is light yet full of flavor. The Burrata is smooth and creamy while adding to the taste without overpowering it. The flavor of the black olives and the broccoli come through well and add the fresh kick to the pizza. 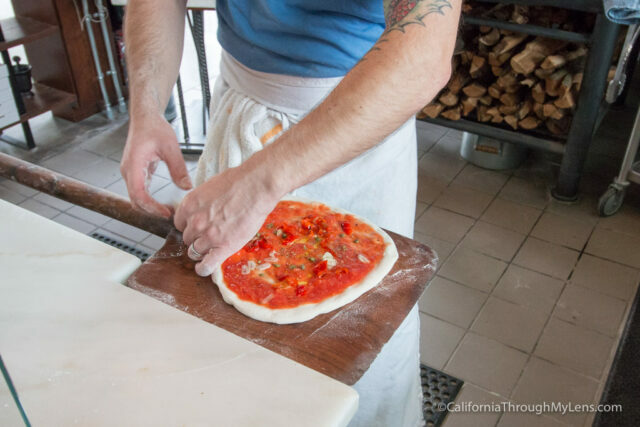 The dough is the standout here though as it is never frozen, hand tossed and cooked to perfection. I honestly don’t know how this pizza could be better. It is probably one of the best pizzas I have ever eaten. Forgoing the traditional sauce, this pizza has an egg base with two kinds of cheese on top. 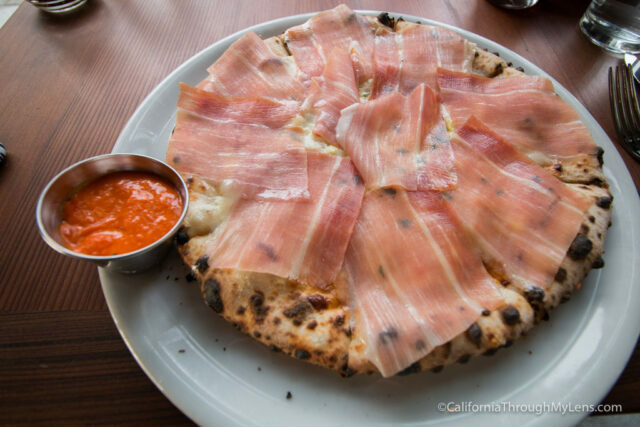 Once cooked, prosciutto is added, and a chili oil pesto sauce is on the side. The sauce is spicy, but it’s a great addition to the dish in moderation. The light eggs, salty prosciutto, and the savory sauce are a perfect combination. Vignette Pizzeria is what most other pizza places should aspire to be. 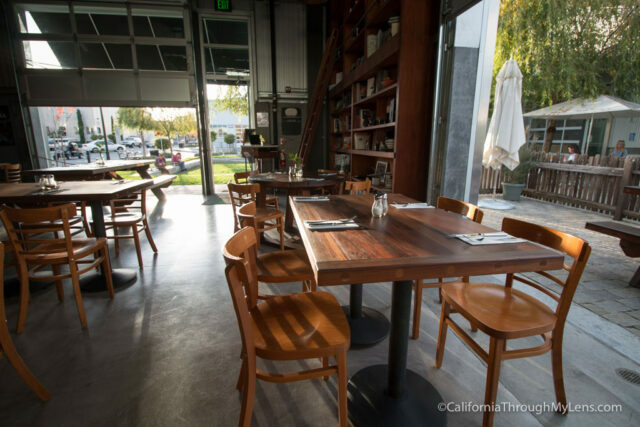 I was incredibly impressed with my meal from beginning to end, and when I am in the area again, I won’t hesitate to visit this great little spot. Be sure to let me know what you think in the comments.